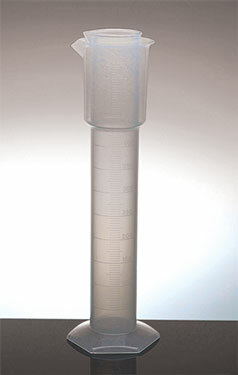 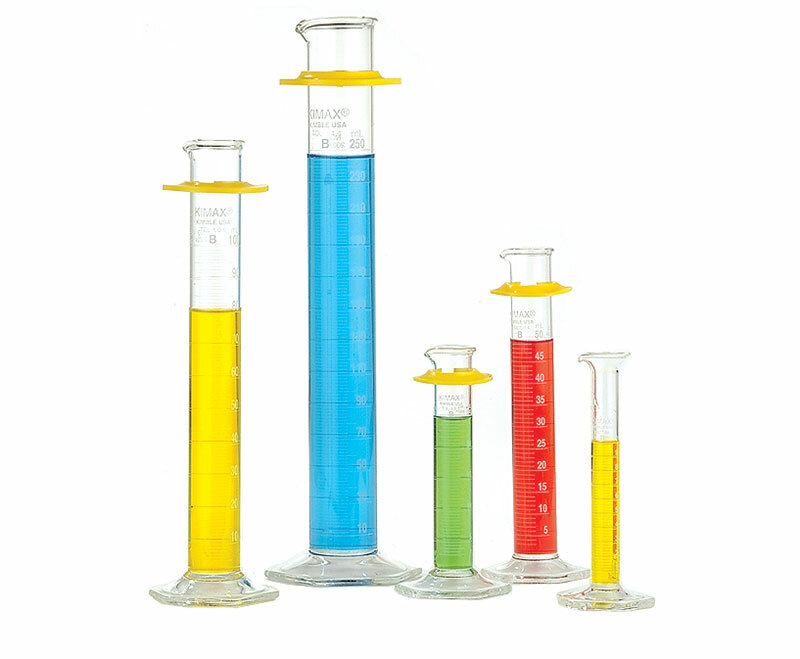 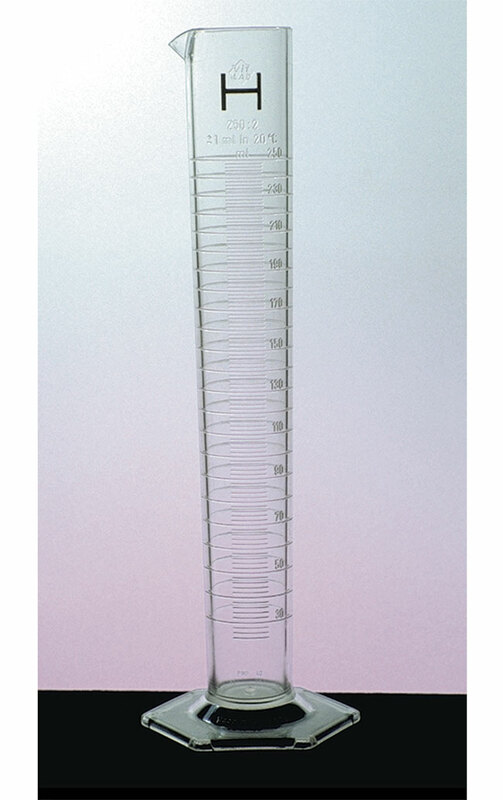 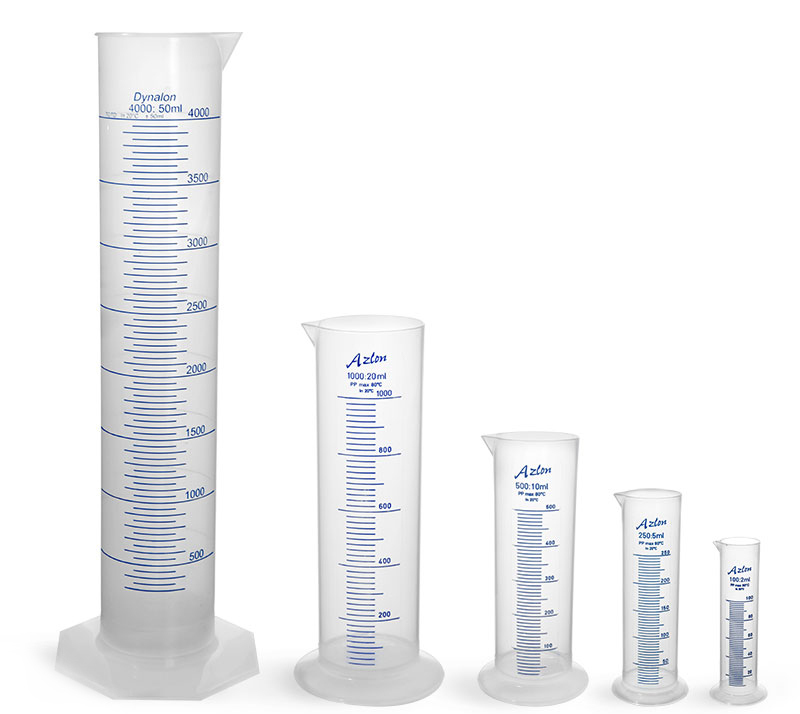 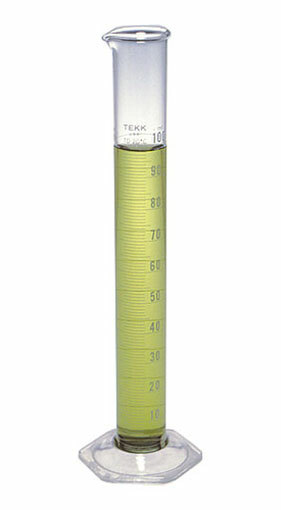 Our graduated cylinders are available in a wide range of sizes and are useful for measuring the volumes of many liquid substances. 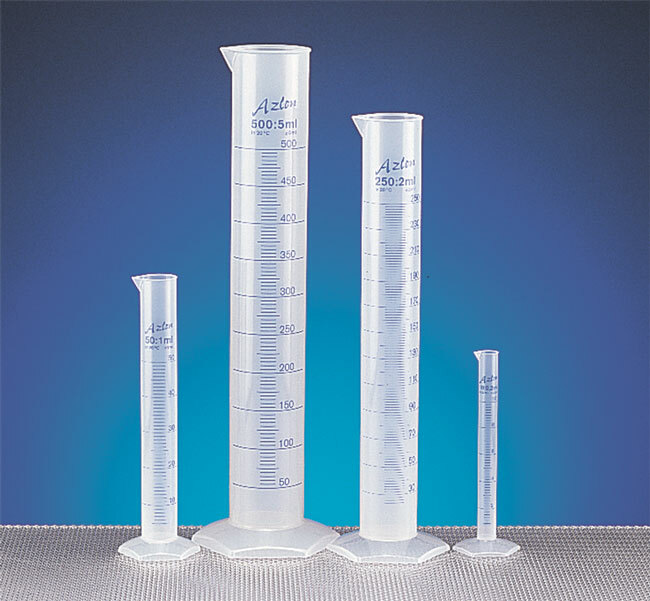 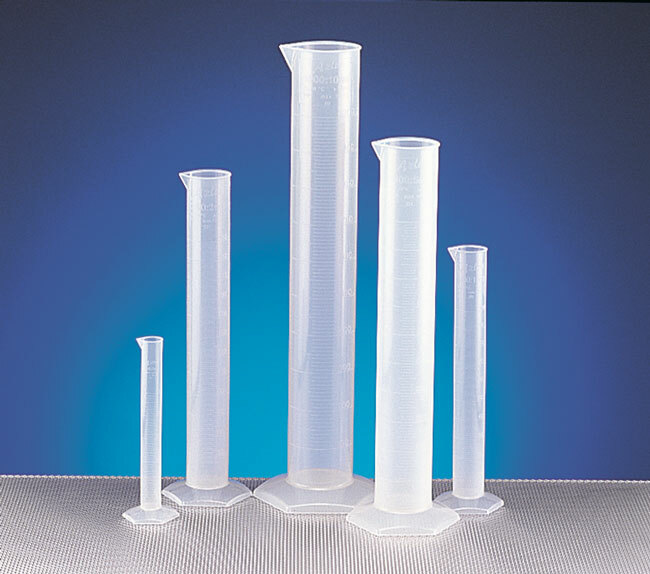 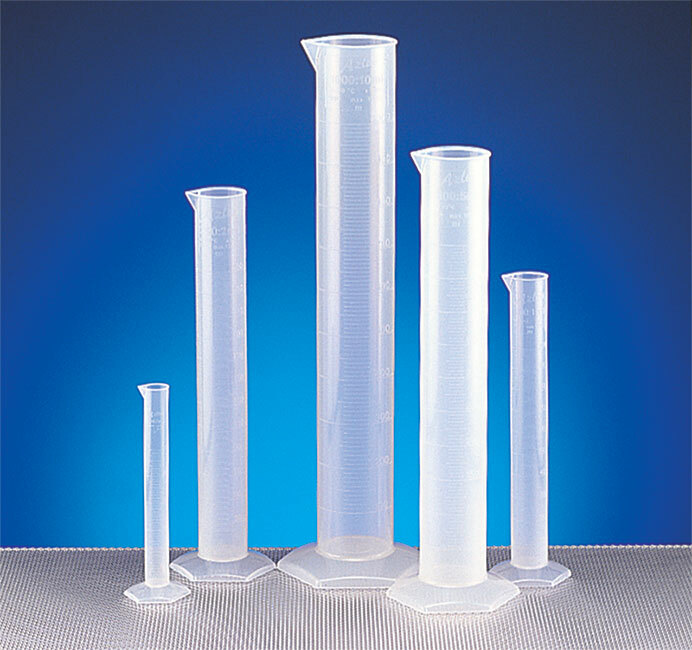 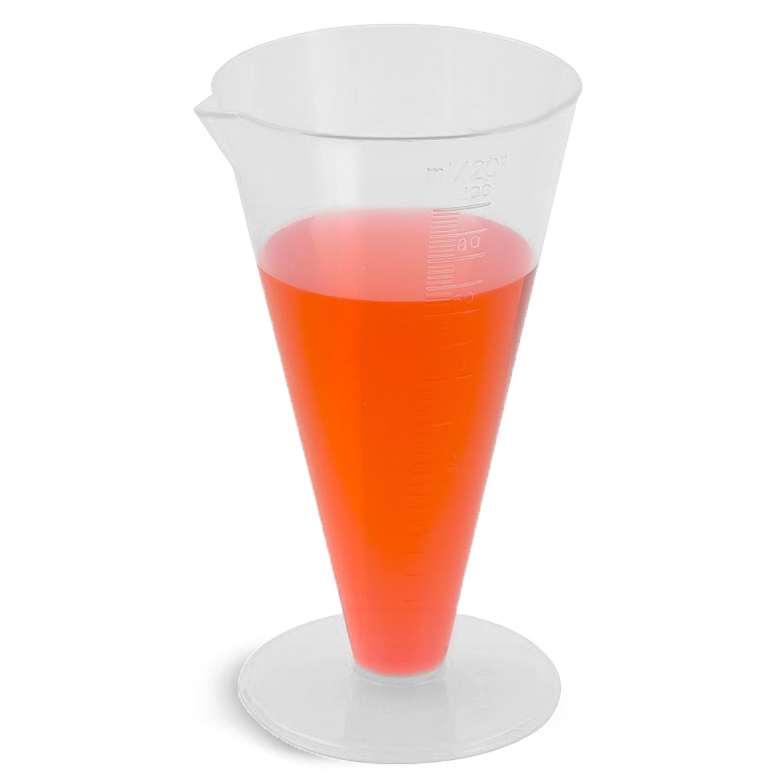 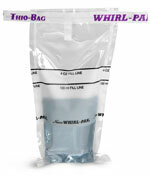 Plastic graduated cylinders are offered in polypropylene (PP) plastic or polymethylpentane (PMP) plastic and many models are available. 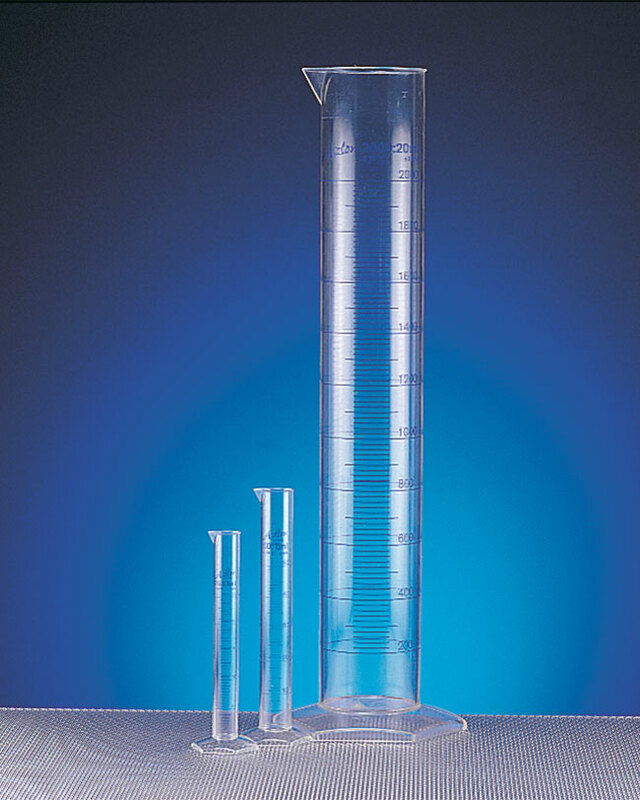 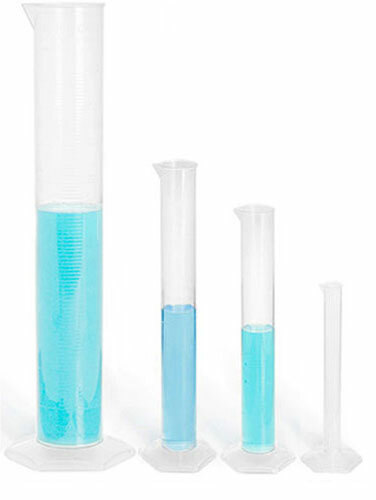 Glass graduated cylinders may be a better option when heat and chemical resistance are a concern.